One of the many crimes that climate scientists have been accused of lately is that they claim absolute certainty in a field of research fraught with uncertainty. Sure, the planet is warming, say skeptics, but that's happened throughout Earth's history, long before humans were burning fossil fuels. So, how can we be sure this isn't just a natural phenomenon? Yet a search through the much vilified Intergovernmental Panel on Climate Change (IPCC) reports shows that absolute certainty is notably absent. In the most recent document, for example, published in 2007, the authors write: "Most of the observed increase in global average temperatures since the mid-20th century is very likely due to the observed increase in anthropogenic GHG [that is, human-generated greenhouse gas] concentrations." If that doesn't sound definitive, it's because, as the authors freely admit, it isn't: climate science continues to evolve as new evidence comes in. Indeed, back in 2006, even before the latest IPCC report was complete, researchers in Britain were already planning to launch an update. Helmed by the U.K.'s Met Office (formerly known as the Meteorological Office), the update, published March 5 in the journal Wiley Interdisciplinary Reviews: Climate Change, is based on more than 100 peer-reviewed post-IPCC studies. The new data may shift the evidence for climate change, but none of it weakens what the IPCC said three years ago. By looking at a wide range of observations from all over the world, the Met Office study concludes that the fingerprint of human influence on climate is stronger than ever. "We can say with a very high significance level that the effects we see in the climate cannot be attributed to any other forcings [factors that push the climate in one direction or another]," says study co-author Gabriele Hegerl of the University of Edinburgh. Plenty of these climate effects had already been observed at the time of the 2007 IPCC report, including warming temperatures, shifts in rainfall (wet regions getting wetter, dry regions getting drier) and the increase in summer meltback of Arctic sea ice. Those patterns have continued, and in some cases gotten worse. Some entirely new observations have been recorded as well. 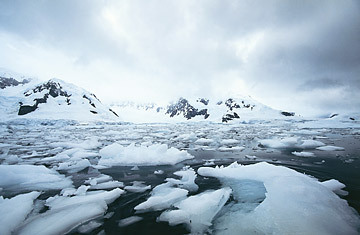 In its 2007 report, the IPCC did not include the impact of Greenland's or Antarctica's melting glaciers in its estimate of future sea-level rise, saying it lacked sufficient data. But now the speed-up of flow from these glaciers has been documented. And while the IPCC noted in 2007 that every continent had warmed throughout the 20th century except Antarctica, that continent has now been shown to be warming as well  very likely due to man-made influences, says Hegerl. There's plenty more evidence in the Met Office report to support global warming. But the question from critics remains: how can we be sure this isn't just a natural phenomenon? Scientists haven't done a good enough job of communicating how they distinguish human versus natural influences, says Hegerl. The answer lies in climate models  massive computer simulations that allow the scientists to project climate effects in various scenarios, including those in which humans do not emit any greenhouses at all. "We go out of our way to check out other explanations  by assuming it's all explained by solar activity, or by solar activity plus volcanoes, or by combinations of any of the other natural forcings known to affect climate," says Hegerl. According to the models, none of those combinations can produce the climate patterns currently being observed in the real world. Add the greenhouse gases that we know humans are generating (and which we've known since the 1800s tend to warm the Earth, all other things being equal), and the simulations finally come close to matching the real world. Its possible, albeit far-fetched, that the simulations are defective. It is even less possible that all of them (and there are many) are defective in the direction of overstating humanity's contribution to warming. Again, none of the evidence adds up to absolute certainty, a rare commodity in any field of science. On Wednesday, U.N. Secretary General Ban Ki-moon announced that an independent panel of scientists, representing national science academies from around the world, would review the IPCC's research procedures  an effort to account for the 2007 report's mistakes, for which the IPCC has come under hard criticism. But while the U.N. group may benefit publicly from more transparency, it won't change the fact that more than 99% of the scientific details in the 2007 report have already withstood the most intense scrutiny. The fact that climate change evidence that was "very likely" a few years ago has now been declared likelier still by the comprehensive Met Office report suggests that the evidence for human-caused climate change is getting better all the time. Lemonick is the senior science writer for Climate Central. See the top 10 green ideas of 2009.